UNESCO New Delhi National Comic and Cartoon Making Competition is being organized by UNESCO New Delhi Office and is open for participants belonging to the age-group 15-25 years. In order to participate in the Comic and Cartoon Making Competition candidates must create a cartoon strip or comic related to the theme “Literacy and Sustainable Societies: Take the challenge”. There is no participation fee to be a part of the competition and the creation can be in color or black and white and with or without words. The entries will be accepted online only and the last date to submit the entries is August 30, 2015. The winners will be rewarded with IPad Mini, Kindle Paper White and various other prizes. Nationality: The National Comic and Cartoon Making Competition is open for Indian National. Age: In order to be a part of the competition, the participants should belong to the age group of 15-25 years. First Prize: The winner of the first prize will get an IPad Mini. Second Prize: Two candidates will be selected as the winner of the second prize and each of them will be rewarded with Kindle Paper White. Third Prize: Five participants will be rewarded with third prize and each one of them will get a movable hard drive. Consolation Prize: Five entries will be selected for awarding consolation prize which will be Pen Drives. Color Scheme: The entries can be in color or in black & white. Language: The entries can be with or without words and can be in either English or Hindi. Size: The Submission can be composed of one cartoon or a series of comic strip with maximum six boxes and fitting on a DIN A4 page (210mm x 297mm). Format: The submission will be accepted only in jpeg, png, or tiff format. Size: The maximumsize of thedrawing should not be larger than 15 MB. Naming: The file should be named as ‘(first letter of the first name)-second name.jpeg’ for example ‘m-gupta.jpeg’. Number of Submissions: Asingle participant can submit up to3entries. Attachments: The submission should be accompanied by complete information related to the participant such asname, age, contact number, contact addressetc. and participant’s identity proof such as Birth Certificate, Passport etc. 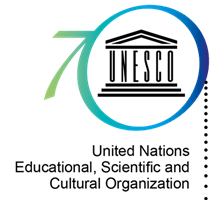 Submission: Theentries are to be submitted by sending in the format of an e-mail to ‘unesco2015cartoons@gmail.com’ with the subject line “Submission for UNESCO 2015 National Comic and Cartoon Making Competition - [your name]”. 50 points: Relevance and clarity of message. Result: The winners will be notified by email on September 08, 2015 and the official announcement willbe done on September 15, 2015.